Siri and I met through Couchsurfing (happy hours) in DC. Hosting guests has been an important part of our lives before and since. When we bought a house, we knew we needed a guest room to host CSers as well as friends and family. We were its first guests moving into the 3rd floor outside of Iris’s room as we finished the 2nd and 1st floors below. With so little square footage, we needed it to be a flexible space as well. The idea was and old style study / library. 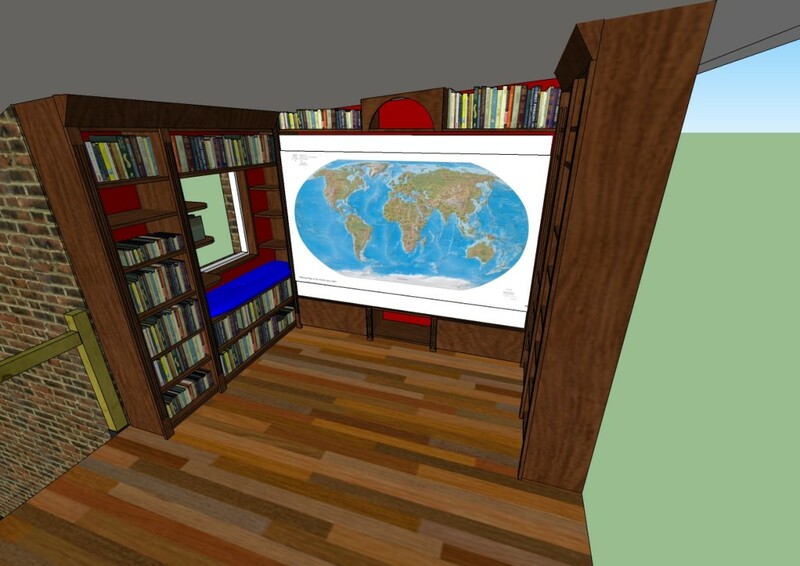 The shelves will store our books about travelling, oddities collected while travelling, and Baltimore history books for guests to learn about our city. There will also be a huge map of the world which will fold down, revealing a full size mattress for guests. Everything you need for your adventures. 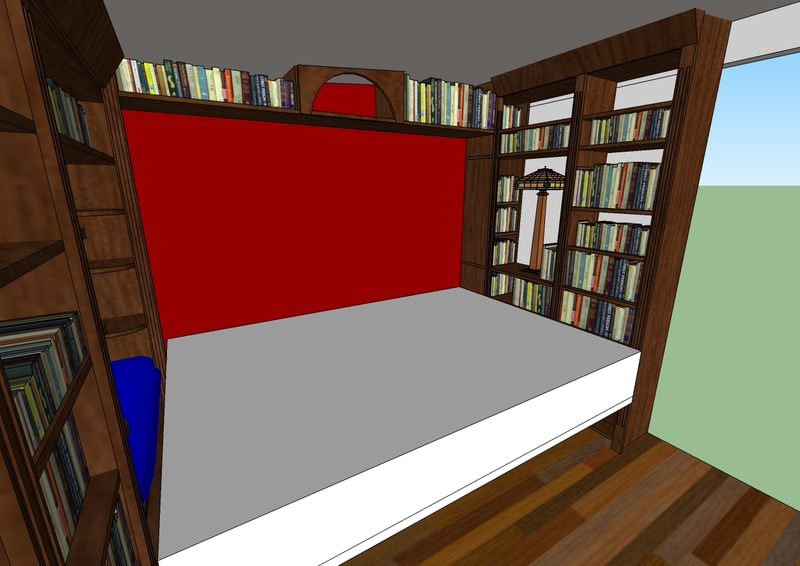 It looks like everything should be about 12″ deep in order to fit the mattress in between with a few inches to spare. This should also save on materials as well as a 4×8′ sheet cuts in to 12″ sheets very efficiently. Next step is to cut some wood. Micah on Core Plumbing is Done!